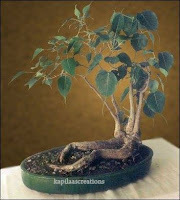 Giving proper shape to a Bonsai plant is most important chapter in Bonsai Art. All Bonsai lovers will think of having a beautiful Bonsai. Beauty to comes to the plant through correct training and pruning methods. They have significant role in giving a pleasing look to a Bonsai plant. Training a Bonsai tree is Cutting at correct place that is node of the plant where the leaf starts growing. Knowing about function of the node is more important before making a cut on a Bonsai plant. 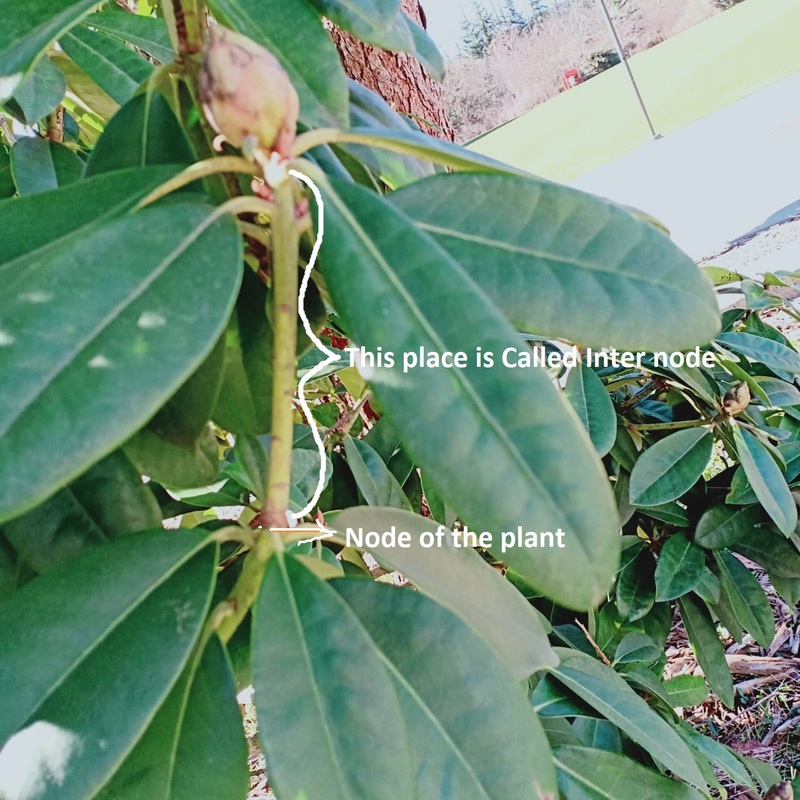 All plants have nodes and inter nodes. 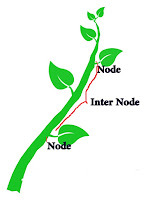 Nodes and inter nodes are important parts of Plant Biology. Appropriate growth of Bonsai plant dependents on correct cut at a proper node of the plant. Without nodes, the plant cannot develop leaves or branches. Even hardwood deciduous trees like Oaks, with life spans of more than 5000 years, and annuals and perennials of herbaceous plants, have nodes and inter nodes. 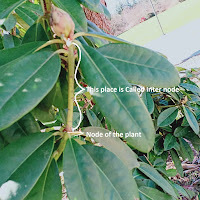 Below photo shows nodes and Inter nodes of a plant. Here the space between two consecutive nodes more. 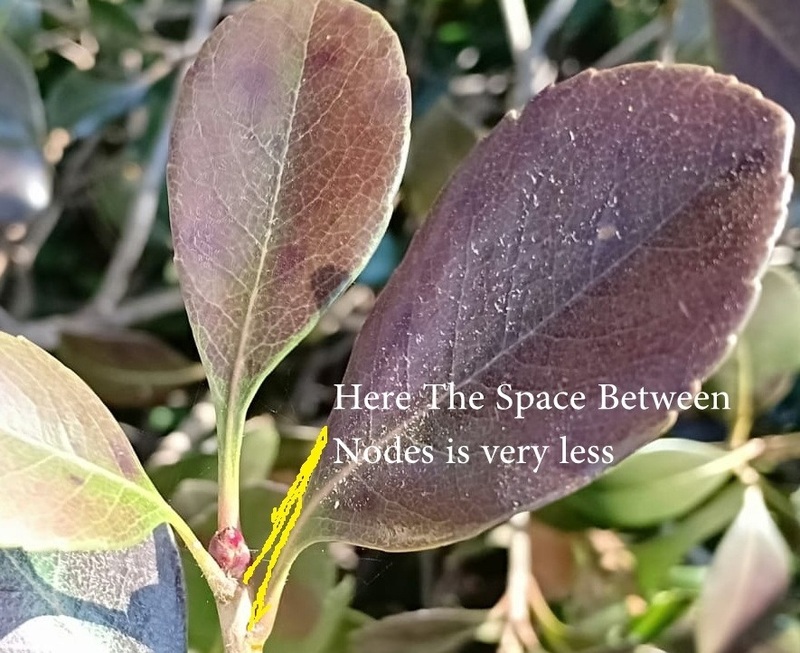 Most of the plants have long inter nodes, i.e, here in below picture the space between two consecutive nodes is considerable. The difference species of plants have different inter nodal spaces. 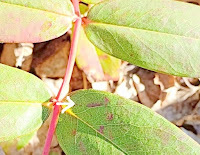 The Space between Two consecutive nodes that is between two leaves is very less in below photographs. These plant are having very less inter nodal space. Nodes are the important functional part of a plant where leaves, branches, flowers, fruits, and aerial roots originate on the stem. Nodes are responsible for proper propagation of the plant. 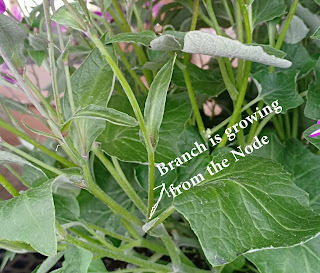 Always New branches and flowers will rise from the node of the plant. Below first photo shows growing of a branch from the node above the leaf. 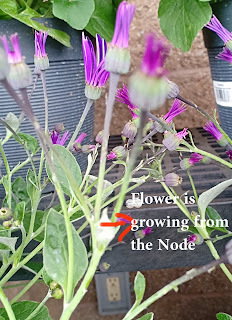 In Second photo it is clearly visible of growth of a flower from the node of a plant. There are Axillary buds at nodes of the leaf. 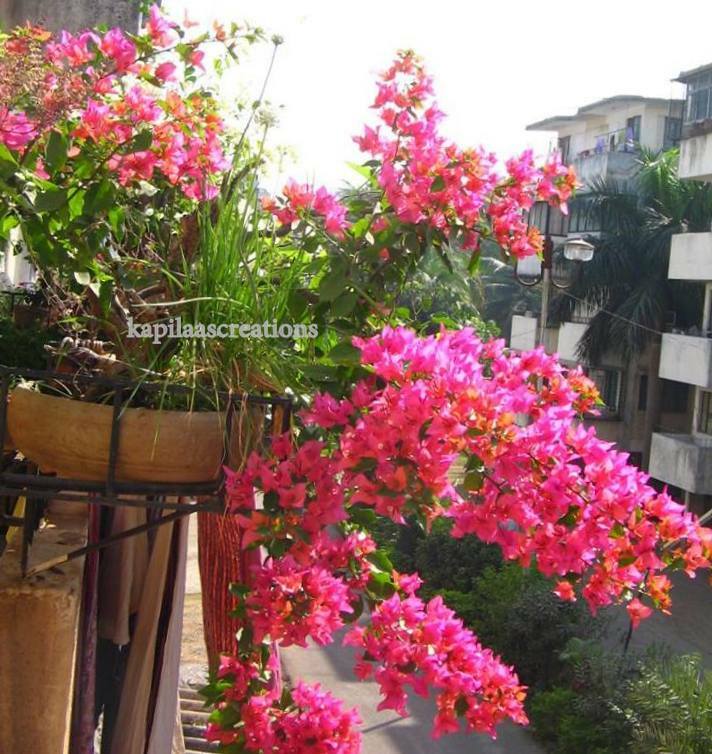 they develop in to flowers and branches. When pruning a Bonsai plant or any plant, a cut should only be made above the node, so regrowth of the plant will be proper. It will then be able to grow new leaves and branches from the lower portion a stem of the plant. In Bonsai, conventional method of cutting and pruning is always above the node of a leaf of a stem. To maintain height of a Bonsai plant remove the top bud , then the axillary buds becomes active and many new branches will develops from the leaf axil. 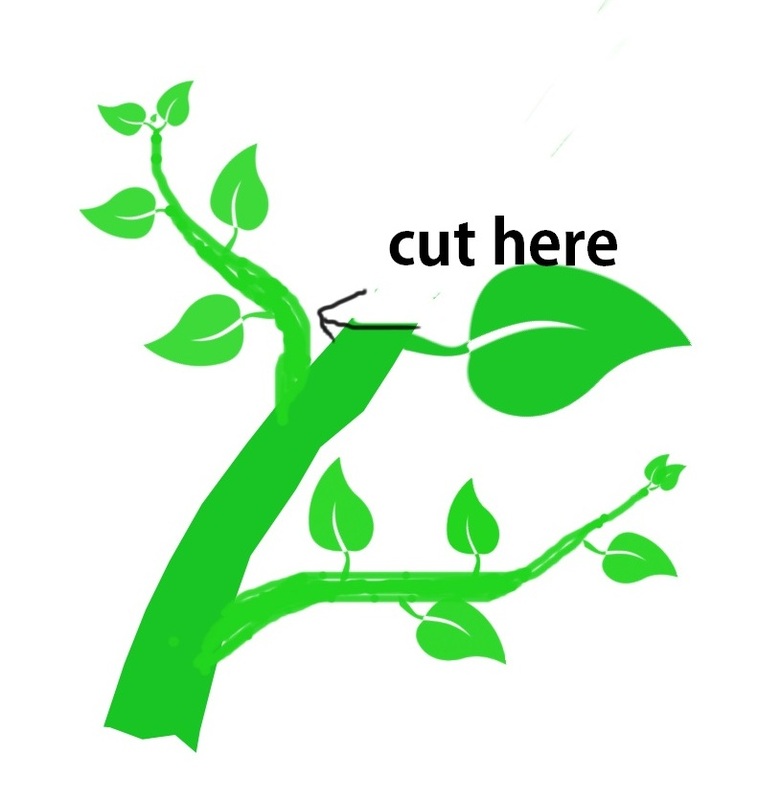 Allow the new branches to develop 6 to eight pars of leaves, then remove the top bud of the branch, then there new branches will develop on the primary branch. 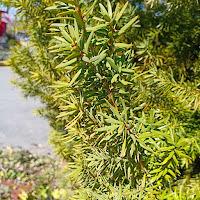 The plant will have a bushy growth with many branches. 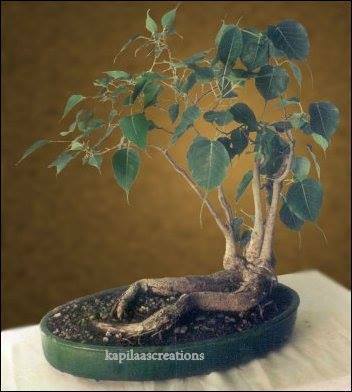 Bonsai plants are replica of miniature form of tree growing in nature. Any time height of the Bonsai plant will remain small when compared to the huge trees growing in nature. 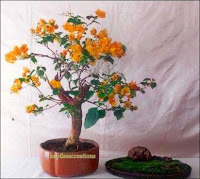 Shohin or mame or small Bonsai, the plant looks prettier with having lower branches at the base of the stem. Training a Bonsai plant is more like a art. 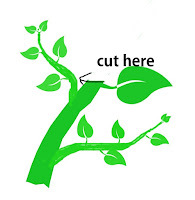 For having more branches at the base of the trunk line is to make a cut above the leaf as shown in the picture. 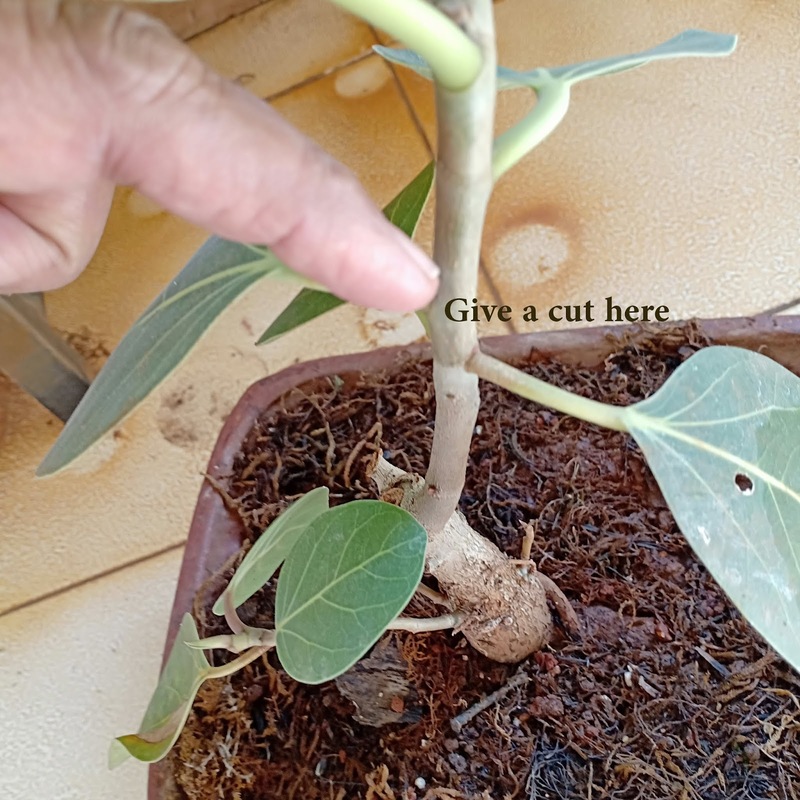 The photo explains if a cut made above the leaf , lower branch becomes active , and chances of getting more branches at the lower level of the Bonsai tree are more. This video explains how to make cut above the leaf . Inter node is the part or space between two consecutive nodes. Inter nodes carry water, hormones, nutrients from one node to the other. 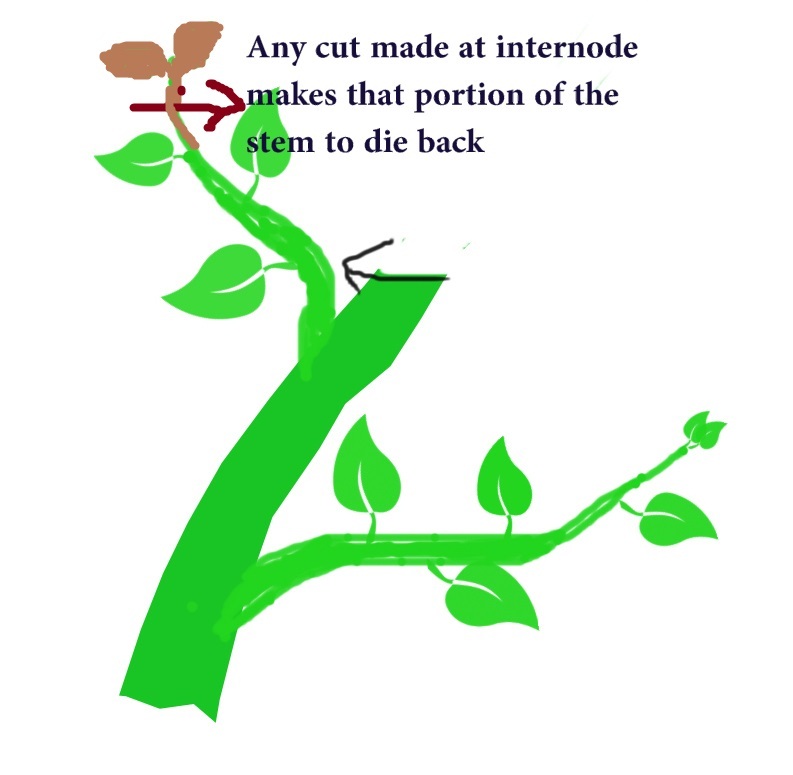 Any cut made at inter node make the portion of the stem to die back . 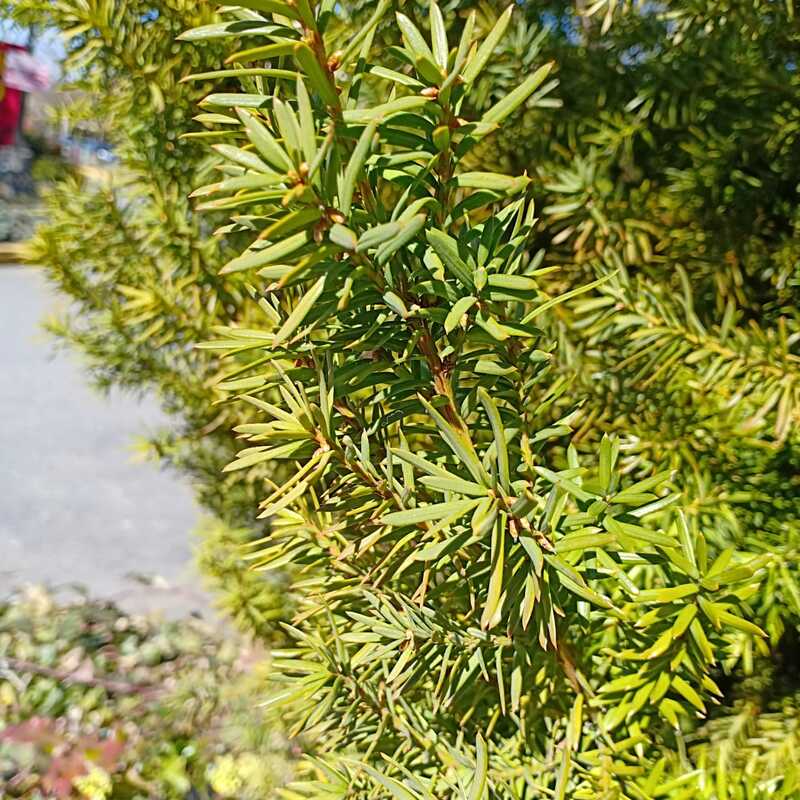 However, in some plants like dwarf conifers, evergreens, pinus taeda,Bald cypress,Norwey spruce,Thuja occidentalis,Yew, and Boxwood,inter nodes are shorter, which makes the leaves more dense. These plants can be made into ornamental shapes ( art of Topiary) by clipping or by pruning. These plants are also can be made in to Bonsai plants because of their shorter nodes, they look so beautiful with dense foliage. The response of Bonsai plant is very important after cutting and Pruning. In some instances if proper cut is not made at right place there are chances of survival of the plant becomes less. 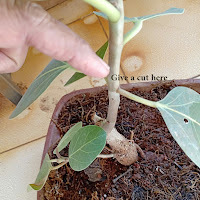 My advice is to study the nature and species of the plant, and observe the proper technique and cut above the node, before considering to decapitating for trunk taper or not. Bonsai became a Art , it is once imagination and creativity makes the plant Stand tall with its beauty among other plants. Mr. Masahiko Kimura is a great Bonsai artist from japan, he is also called magician of Bonsai because his creations are like just painters brush stokes which gives a wonderful look to Bonsai plants. He revolutionized the Art of Bonsai from traditional way of training in to modern Contemporary Art. Bonsai is an art, Enthusiasm to learn, creativity to style a plant, makes you a great Bonsai artist. it is a live art. 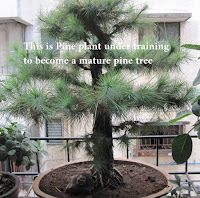 One can start Bonsai making by attending Bonsai classes regularly near by area where you are staying . That is the way one to one coaching will be there , your master will teach you with hands on experience. so your plants will be in safe hands. if any thing goes wrong with the plant master will be there to guide you properly. Another way of learning Bonsai is by watching videos of Bonsai. This way is trail and error method. sometimes you will be successful by making a Bonsai plant, other times you lost some plants. One more method is attending on line classes, that is master will be on other side of tv and you will be watching his Bonsai making live class, here one can talk with the masters and interaction will be there, your questions will be answered. One can make Bonsai by reading books, and can start making your own Bonsai. By attending Bonsai exhibitions and having discussions with Bonsai people also helps to get some knowledge in Bonsai making. Bonsai is nothing but it is replica of nature, When you are looking at Bonsai plant it should look like huge tree growing in shallow container in a miniature form. Bonsai Plant making is pioneering in to the Art of Bonsai, This art needs lots of concentration, patience. Many Years of rapport with the Bonsai plant gives a beautiful matured Bonsai. To make good looking Bonsai, it needs years of training like pruning, wiring, shaping. 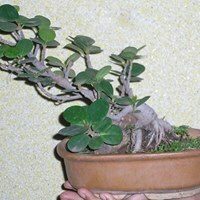 You can follow my blog how to make a bonsai plant. What plant is good for growing easy and fast Bonsai trees? This question asked in Quora.com by a bonsai artist. The hard, fast and easy growing plant is Ficus benjamina. There are more than 150 varieties of Ficus trees are available in nature. Most of the varieties are hard and easy growing. Most of the Ficus plants can grow up to 100 ft and these trees have life span more than 100 yrs. 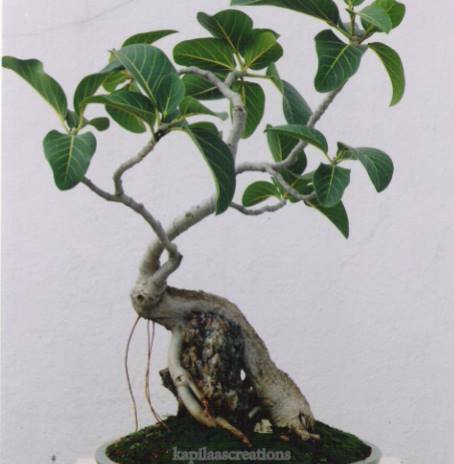 Ficus is a Ficus plant can be shaped into any style and this plant responds well for styling by developing new branches and giving the plant a fully developed tree like appearance. It can be grown from cuttings. that gives ficus bonsai a aged old look in a short time.The trunk line of this plant becomes thick in short time when compared to other plants. 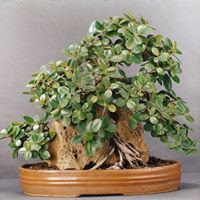 For beginners, who are new to Bonsai art Ficus is good variety to grow as a Bonsai tree, some varieties of Ficus plants can give falls or aerial roots which gives a mature look to the Bonsai plant, Ficus is a hard plant stands well for cutting, pruning and root cutting. It can tolerate little dryness in between watering. Small size leaf plants like Ficus nuda, Ficus retusa, Ficus microcarpa are good for growing them in to mame or shohin ( small )Bonsai. One main character is size of the leaf reduces fast when ficus made in to a Bonsai plant. Ficus plant can be grown in fast draining with good garden soil mixture. This plant doesn't need high nutrient organic soil. 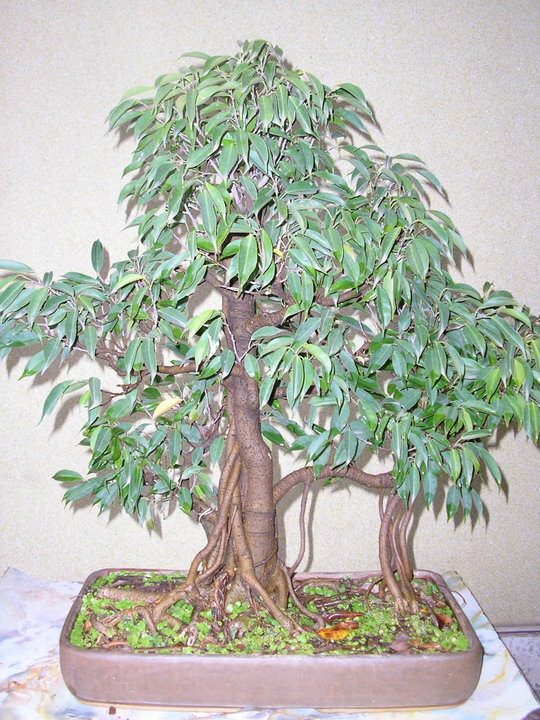 Ficus plants can be grown from seeds, cuttings. They can be grown as indoor and out door plants also. When they are growing as indoor plants proper lighting arrangement is most important to plant to grow healthy. 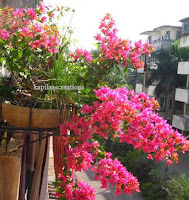 Regular fertilizing helps the plant to grow properly and quickly. Well drained soil is important for its healthy growth of ficus plant. Having Umbrella shaped Ficus Bonsai with lots of aerial roots with good root system showing over the soil with a sitting Budha underneath the tree is a dream for Bonsai artist. Any time Bonsai art needs Lots of patience and interest towards the plants. It is not an one day art, It is a live art. 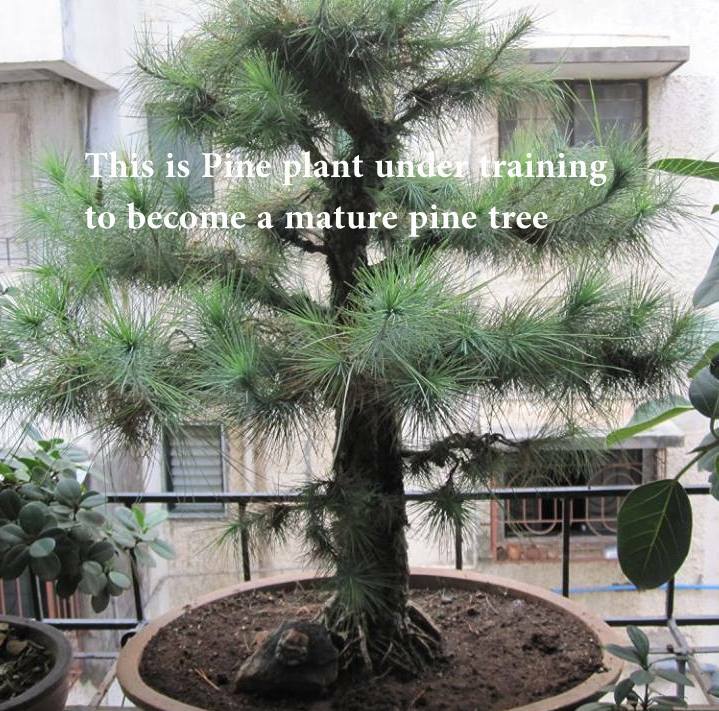 Days, months and years of rapport with the plant makes that plant into a Beautiful Bonsai tree. As Great Grand Bonsai master John Naka Says "The Object of Making Bonsai not to look like a Bonsai, but to make Bonsai look like a tree".